If you’re doing any kind of serious hunting, recording videos should be a common habit. Not only does it help you review your outdoor activities in order to gather information about different spots or a stand, but actively lets you enjoy and share the special moments and memories you’re actively making in the outdoors. 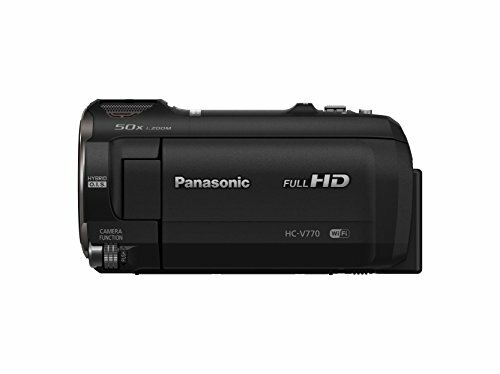 If you are looking for a camcorder to use when hunting, keep reading. We have given you tips and tricks to selecting a great one and detailed a few quality choices to get you started. 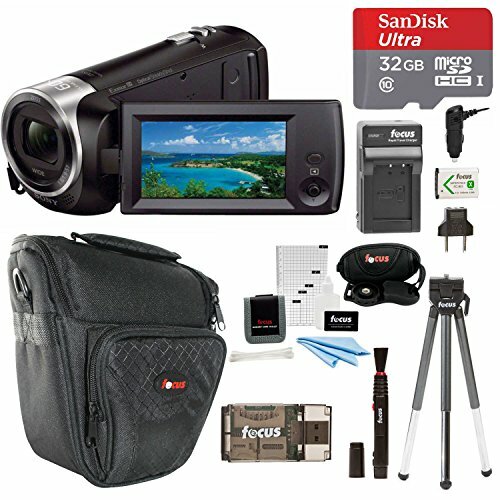 A good camcorder must have a few key features to ensure it does the job you want it to. When hunting, there are even more considerations to take into account. The product should be easy to mount on different devices as it can become a hassle to carry around. While some options are hands-free by design, others require accessories to achieve this. This goes beyond the format of the video, as other variables like the camera sensor and lens type have an impact on the overall quality. A good zoom is a welcome trait to record at a distance. As a general idea, a product that records video with a resolution of 1080p is enough for you to get clear pictures. Should you want a more natural or more fluid shot then you should look at the Frames Per Second or FPS. A high number of FPS allows you to record with features like slow motion. Since the camera is going to be put to the test while being outdoors it should be sturdy and hopefully, water-resistant. Products specifically designed for hunting tend to fare better against the elements. Below are the main aspects to consider when choosing one of these models. Are you looking for a model to self-record? Or an action camera to always see how everything unfolds in front of you? Not every choice works in every possible scenario and this is something you should keep in mind. Depending on the format and quality of the video, the memory can take quite a considerable hit as better images usually mean heavier files. The versatility of the product depends a lot on traits such as infrared sensors for night time vision, intelligence, and stabilization, so the material you record will have the best possible quality. This is one of the main properties that separates a good model from a smartphone one. Outdoor activities require longer and more reliable battery life and this should be one of your main concerns. Different cameras can fulfill large arrays of tasks. Depending on your objective, you may need a camera with a specific set of features. While a budget does make a difference, it doesn't mean you can’t get an effective product. ​One of the best qualities of this product is that it offers a large set of traits at a low price. It's perfect for outdoor activities, especially hunting. 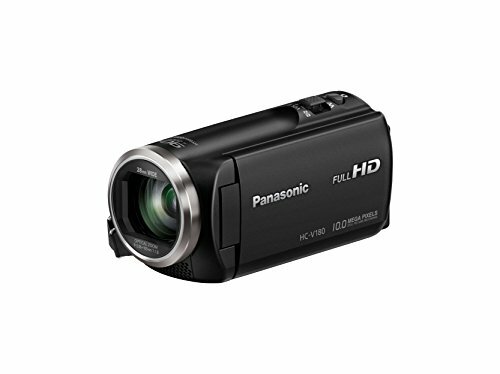 This camcorder can record video at 1080p quality and includes a 30x optical zoom, so you can play around with different ranges. It has an outstanding image stabilization for situations, which sets it apart from any other type of video camera. It includes a kit that contains everything you need to charge it and carry it around. Another great feature of camera recorders is that their batteries last way longer than the ones on our smartphones. This model has a removable ion battery meaning that you can take multiple energy sources while hunting in case your battery runs out. It has a lightweight design, so you can easily mount it on a gun. It can also take a couple of hits without much of a problem. 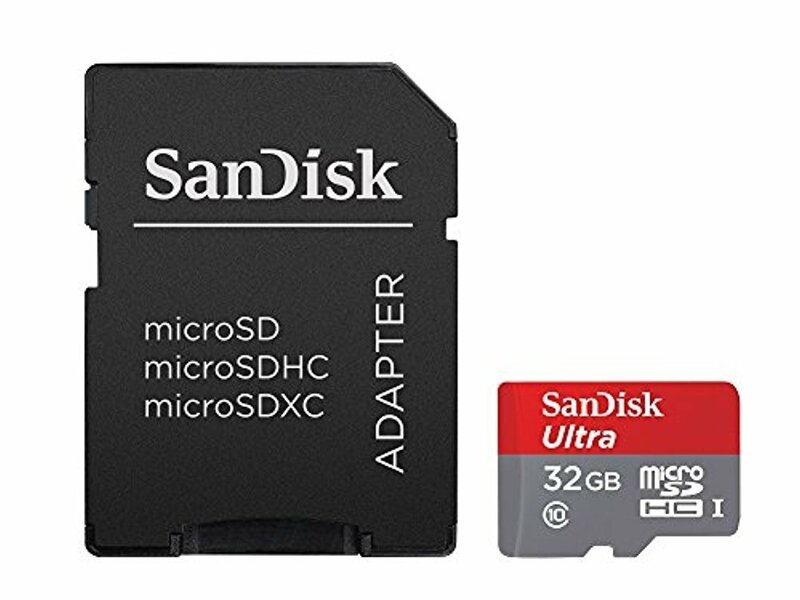 It's fitted for a 32GB SD card, so you can acquire additional ones to increase memory storage. The automatic focus feature is by far one of the most relevant characteristics for hunters. Thankfully, this choice has a unique intelligent focus feature, meaning you’ll get clearer, better images faster while moving and zooming. This choice is not compatible with external audio, and although the microphone is good, it doesn't compare to an external one. This is a versatile device, thanks to its many features. It's prone to weather damage, but aside from that, it's an excellent Handycam since the quality and zoom are exceptional. This Panasonic model is perfect for people that prefer to hunt in a stand, as it can be connected to other devices, like your phone or tablet, to monitor locations of interest. 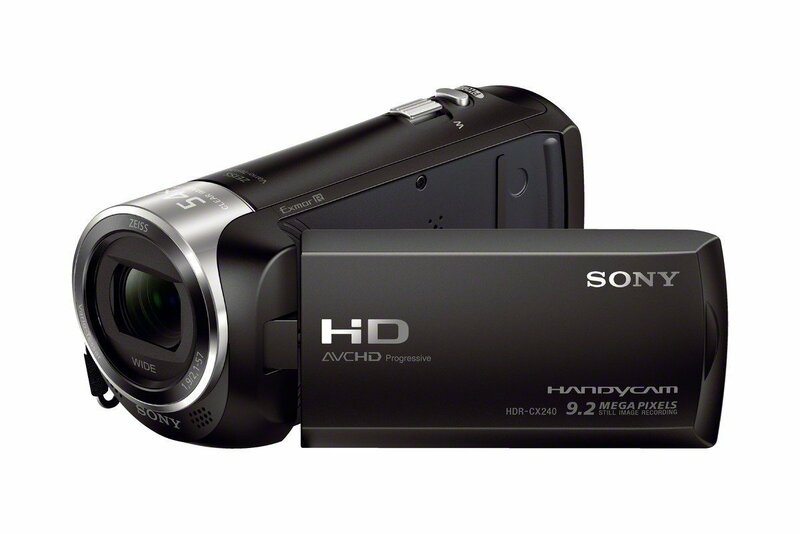 In terms of quality, it can record video at 1080p on 50FPS, more than enough to avoid missing anything. It also has an intelligent auto focus feature so your hands can be on your weapon. In terms of zoom, the device comes with a 20x optical option suited for long-range recording. It has a slow-motion mode, should you want extra detail out of a particular event which records at full HD quality and at 100 FPS. You can either control the functions through the LCD screen, as is the norm nowadays with hand recorders, or with a function dial for a faster approach. The sensor cuts out most of the noise that low light conditions may generate. It comes with a good microphone but, should you require more quality, you can connect an external option. It comes with a USB port to access to storage and also to charge the device and its lithium battery. The diverse formats offer you a vast amount of versatility, letting you decide how to record images. It can capture video at different FPS, meaning that movement can be more natural. 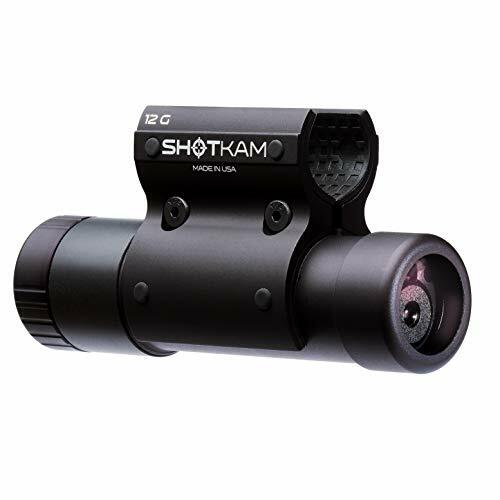 The ShotKam Shotum Camera can be easily used on most pump action guns. The model is versatile and durable, thanks to the military-grade aluminum used to produce it. It’s completely waterproof and has WiFi integration capabilities should you want to sync another device with it or for instant replay. Quality-wise, it can record at various modes and formats, the clearest one being 1080p at 100 frames per second. If you want a slow-motion recorder, then 720p at 180 fps can get you the quality that no other product on the list offers. The model doesn't have a removable battery but can be charged via USB cable and can run for about six hours. This product doesn't have a removable battery but can be charged via USB cable and can run for about six hours. The product is designed to replicate a human field of vision for a more natural look. Memory-wise it comes with 64GB of storage but unfortunately, it doesn’t have an external memory slot, so you need to be conscious of emptying the memory each time you’re about to hunt. The product is not limited to only one brand of weapon as it can work on most shotguns. This product provides exceptional quality and a broad array of video formats. Its auto-focus feature makes it a distinct and outstanding choice, the only drawback is that it's limited to shotguns. This is one of the most unique options on the list, as it operates differently than the rest of the recorders. Trail cameras are often used to gather information or survey specific spots. 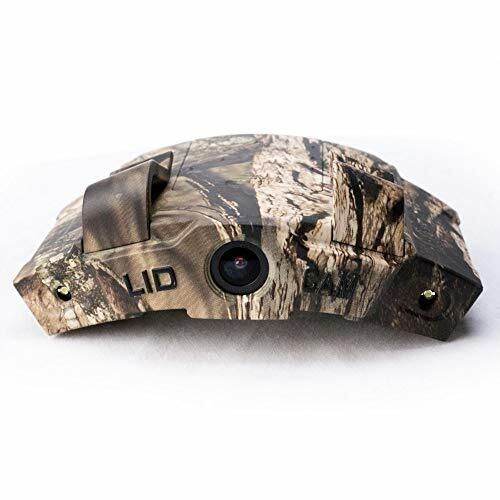 This product has excellent recording capabilities as it can take video at 1080P and has an infrared sensor capable of recording outstanding images at night. It has a wide detection angle and fast trigger speeds. You don’t have to miss anything, making it perfect for a feeding spot or a stand. It is waterproof and has a sturdy build. This item comes with a mounting strap so you can set it up in any place you want. It’s silent, so when activated, the model won't scare animals. In case you desire just images, this option can also take 8MP pictures both in the daytime and at night. This product has uses that go beyond hunting, as you can use it not only for hunting but for surveillance in your own home. Unfortunately, it doesn't come with rechargeable batteries, so you have to buy them separately. In terms of memory, it comes with a 32 GB SD card meaning you can buy additional storage. This is a solid option for people that prefer to hunt in a specific spot or a fixed stand. It’s versatile and can be mounted anywhere you want to gather information. The product performs nicely in other activities like surveillance or baby monitoring as well. ​Outdoor activities generally demand your hands to be free. This device works like a headlight, but instead illuminating the path in front of you, it records it. The good news is that it doesn't hinder your mobility or make you tired as it’s lightweight and portable. In terms of quality, it records video at 1080p and has a great sensor which allows for autofocus and clear images. You can control the camera with your smartphone, as it has WiFi integration where you can adjust the video setting. Unfortunately, the product relies a lot on its app, which is a double-edged sword, as getting a connection in some places is not easy. In the storage department, it comes with a 32 GB SD card slot, which of course can fit multiple cards. It’s waterproof but not submersible, so it’s perfect for rainy weather. While recording is important in hunting, it’s necessary to have a device that facilitates and frees your hands while taking a shot. This option has the deepest zoom on the list with an optimal choice of 50x plus an intelligent 90x alternative, so distance is guaranteed while performing and taking video with excellent quality. It comes equipped with a 28mm lens that records video at 1080p. The recorder has an exceptional quality sensor that reduces the image noise even in low light conditions. You can select from a wide variety of effects like time lapses and different video qualities depending on a specific situation, making it a very versatile device. This model has great audio capturing capabilities, as it comes equipped with a two-channel microphone for clear audio. It is compact and lightweight an can easily fit in your pant pocket. Provided you take care of it in extreme climates, this recorder offers great utility and image quality. It performs really well in low light conditions. It all depends on your purpose and how (and what) you are recording. 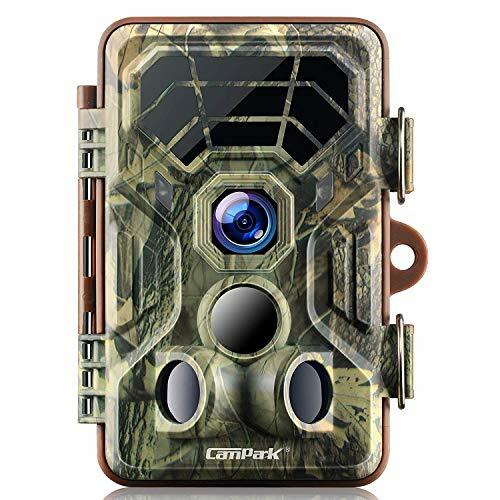 Self-filming while hunting is, in general, a bigger challenge as it requires you to be more mindful of how your device is performing. Setting a static camera can have some challenges of its own, as some devices work with apps whose integration may be hard to synchronize in the middle of nowhere. Without proper gear, it can be a hassle to carry a camcorder around. The weather is something to be mindful about as some products can’t even handle rain. Despite this, having the ability to look back on your hunts is not only rewarding but important when it comes to becoming better at it. On a more technical level, you can see how different animals behave in a certain spot, which can give you a lot of information about the hours in which you should head out there. A camcorder with a great infrared sensor can even make up for a spotting floodlight as you can see eye reflections in the dark. You should take advantage of any type of tool or device that makes your hunts a more efficient ordeal. While it all depends on your objective, recording images should be a vital part of ,any outdoor activity. At the end of the day, you don’t want to be in a situation where you wish you had taped an event even if it was just for fun. As the price of quality cameras continue to drop, more hunters are opting to film their hunts. The term “filming” was an outdated word due to the proliferation of video tape, but now many cameras record straight to a hard drive or memory card. I don’t think anyone wants me to refer to recording a hunt as “memory carding,” so I’m going to stick with filming. While filming a hunt may sound like a lot of fun, it raises the level of difficulty exponentially. Not only do you have to call a bird in without being seen, your camera operator can not be seen either. Sure, there are people who film their own hunts, but I believe you can only do one or the other well. If you manage to get that wily gobbler to come into range, being sure that the hunter and the camera operator have a great view is the next challenge. Here are a few tips on how to film your turkey hunt like a pro. The wild turkey is your target species, but don’t forget to film deer, squirrels, and raccoons while you are out in the woods. In my opinion, the fringe benefits of the day are just as rewarding as the hunted species. Last spring, a skunk scooted by within 10 feet of my hunting partner. The look on his face was absolutely priceless. And you should have seen my buddy! As the sun peaks over the horizon, the turkey woods comes to life. There may not be much to see, but the sound of gobbling from nearby treetops is awe inspiring. Record that sound to take home to your eventual viewers. Make sure the sound is on throughout the day. Silent movies are only entertaining if Charlie Chaplin is starring. I recommend a tripod. This will keep your camera solid as a rock even during the shot. At the very least get a telescopic monopod, especially if you are using a hand-held camera. Shoulder mounted cameras are slightly more steady. Keep in mind the tighter you are zoomed in, the more visible shake you will see in the video. A tripod allows you to zoom in and maintain a steady shot. When zooming in and out use a steady motion. Some cameras allow you to adjust the speed of the zoom. Use the slowest speed possible and practice before hunting. Visualize in your mind when you will zoom in and when you will zoom out. Quick back and forth zooms make video difficult to watch. When turkeys are making their way to the decoy, stay focused on the birds. Follow the turkeys from the time they are first visible until the trigger is pulled. Agree on a code word that lets the shooter know the bird is in frame before he shoots. If there are multiple targets, say “right” or “left”. When gobblers are focused on the decoy, one word is not going to spook them. After the shot, zoom out and pan over to the hunter for a reaction shot. Let him get up and claim his prize but be sure that he brings the turkey back within five yards of the camera location to give you the play by play of the hunt. Just like the movies, the star of the show can make or break it. Keep speeches and play by play short and simple. Talk about what happened and how excited you are. Most people can’t talk into a camera for five minutes and sound compelling. At some point it just becomes rambling. Try to keep your speech a minute or two in length. This will keep the story from becoming boring. While watching that ol’ tom heading for your decoy is pretty exciting, the magic of television is in the editing. Both Mac’s and PC’s typically come with video editing software already installed. While this software is not as powerful as pro editing software, you can make a decent home hunting video with it. In order to make some edits, cutaway shots are needed. Cutaway shots are simply shots of things happening away from the main action. For example, get some shots of the hunter calling, putting his gun to his shoulder, and perhaps just anticipating the turkeys headed his or her way. These shots should be taken immediately following the recovery of the bird so that the intensity of natural lighting remains constant. Be sure to take these shots from creative angles to add interest to your video. Get wide, medium, and tight shots as well. The more variety, the better. Watch hunting shows and pay attention to different camera shots and how they are utilized within the video. Filming your hunt takes a lot of work and effort, but you get what you put into it. Having a fully edited video that documents the day is much more rewarding than a grip and grin photo taken in the garage. After the video is completed take a look at it with a critical eye and think about how you could do it better. If you keep improving, perhaps you may find yourself starring in your favorite hunting show.